"GFTV is a social enterprise creating a fair trade environment for artisans and craftspeople with disabilities in Siem Reap, Cambodia." Now with restaurant, you can enjoy Khmer and international cuisine. 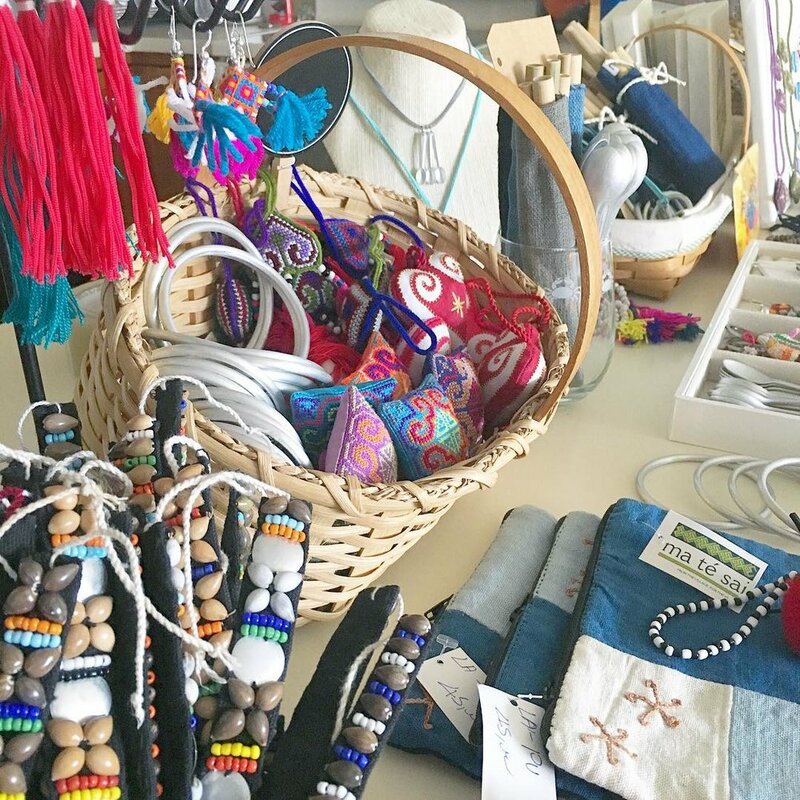 Shop an array of products all of which provide training and employment for those who really need it. A great place for authentic souvenirs. Ma Te Sai means "where is it from" in Laos and the owners of MTS work with rural villages to combine local techniques with modern designs for the home and for your wardrobe. OPT works with local villages, more than 500 artisans, throughout Laos. Ock Pop Tok ensures that these dying technqiues live on. Threads of Life works directly with over a thousand women to create high quality textiles and baskets. Using their traditional techniques and modern designs, products can fit any household. Contemporary design papers made with traditional methods. Zo Paper ensures that this art form is not lost to the modern world. Shop or join a tour.